Since I have been making some changes around here, I have decided to step a little out of my comfort zone and start a Five on Friday series! This post gives us a chance to post any 5 things that are on our minds - I love this idea and its helps you to get to know a little bit about me! Carrot Soup! Yum, I always make a "Soup of the Week" on Sunday for lunches during the week. I usually make a really simple carrot and ginger soup, but this week on Pinterest I found a new carrot soup recipe with coconut milk, spices, and sriracha - it was so good (I also added a little cauliflower to creaminess!) - you can find the recipe here from Rhubarbarians! New sheets masks (to me) that look like animals?! Ahh, they are so cute! 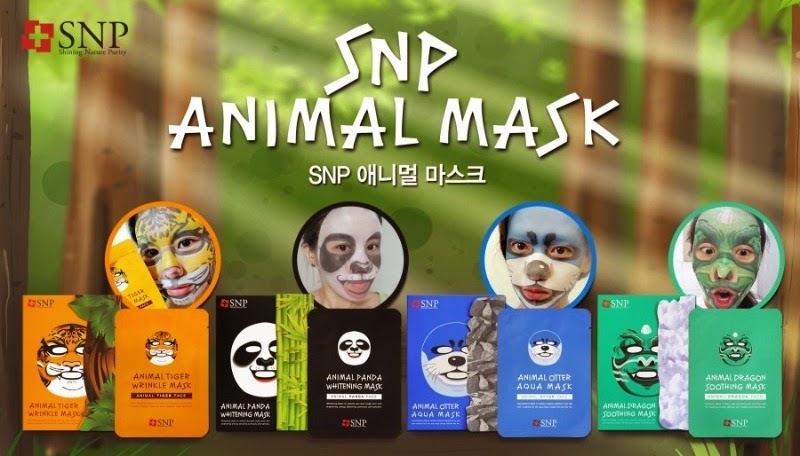 I just saw Mask Genie review the otter one and could help myself! And I found an ebay seller with 5 for $12.50 US! So excited to receive these - you can look forward to my reviews when I get them!! Save The Dates! Yay - I just got word that my last Save The Date made its way safely to Sweden and all of my guests should have cute little stickers of my fiance and I! 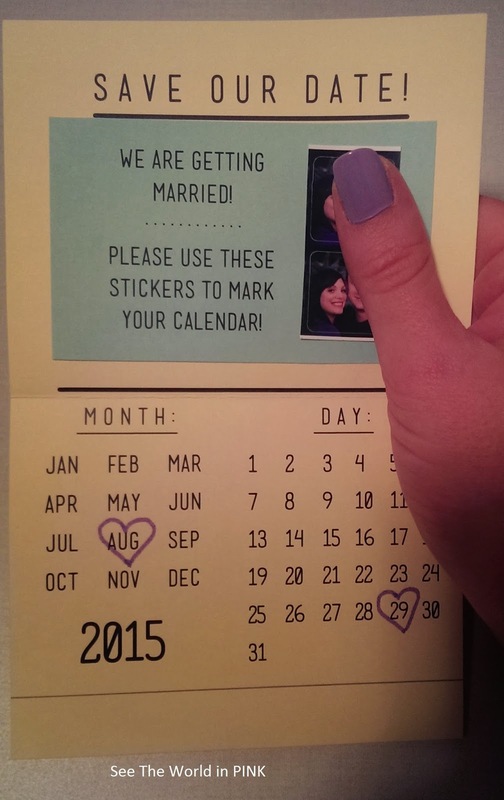 These save the dates are free printables from Something Turquoise and can be found here (there is a couple styles that use these awesome little instagram stickers! It felt good to finally get these sent out as wedding stuff can be so overwhelming! Winning goodies - ahh, I feel like I never win anything so I'm so excited! I won an instagram contest from Something Pretty Boutique! This is a boutique based in Penticton, but they allow customers to shop off of Facebook and ship all over Canada! I am so excited to find something Spring or Summery to start updating my wardrobe for the upcoming seasons!! I have no idea what to get yet! 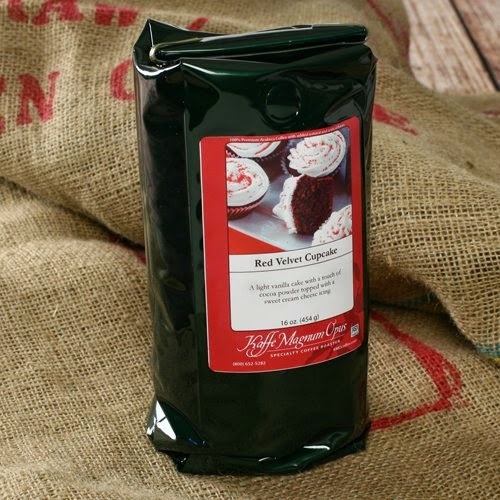 Mmmm... this is my favorite go-to coffee of the week - Red Velvet Cupcake coffee!! So good - I love flavored coffee and this is all kinds of delightful! The soup is awesome and so are the stickers!! Love them both!! My favorite place to find flavored coffee is Winners/Home Sense - that is where I found this one! The only thing is the don't have any set stock but they always have a great selection! Sorry about the grammar in my last sentence lol. I guess my delete key wasn't working lol.